Just finished reading a perfectly delightful book. 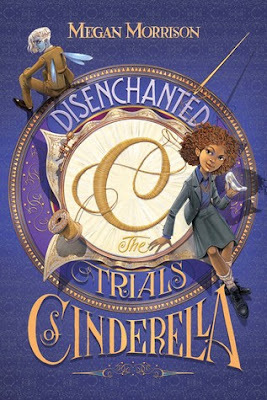 It's called "Disenchanted: the Trials of Cinderella." It's the second in the series of Tyme by Megan Morrison. Disenchanted was definitely a different take on Cinderella, but it was so good. The characters were adorably sweet. The book takes place in the world of Tyme, which has countries named after colors. In this book, the characters live the Blue Country. There are Blue fairies that live there and work at a place called the Slipper. The Slipper is where the fairy godparents find out which children they are supposed to take care of. The main characters are: Ella, Prince Dash, and Serge. Ella is a fiery spirited girl. She doesn't always think before she speaks, but I love her for that. When she sets her mind on something, she goes for it, no matter what. Ella wants to make things fairer in the Blue Country, and she's going to started with factories, where unfair treatment runs unchecked. Dash is an unsure boy at times. For the longest time, the men of his family have been cursed to break hearts. No marriage or relationship works out because of it. But just recently, the curse has been broken and Dash is no longer forced to do what the curse wants him to do. Serge wants to make a difference in children's lives. He's worked at the Slipper for a long time, and he knows something has to change. The Slipper isn't doing what it used to be, helping poor children. Now it's helping whoever gives the most money. Serge can't wait to own the Slipper when the owner passes it down to him. Together they all can do bigger things then they thought possible. 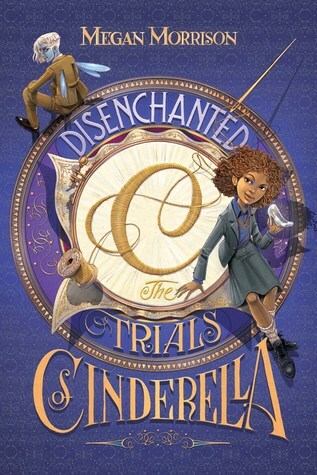 I love this book as much as I loved the first book in the series, "Grounded: the Adventures of Rapunzel." I can't wait for the next book! Have you read this book? If not, do you think you will? What did you think of it, if you have read it? Welcome to Faeries and Folklore!